Scotland’s in-form Catriona Morrison will be among the top age group athletes competing in the Stirling Duathlon on Sunday. 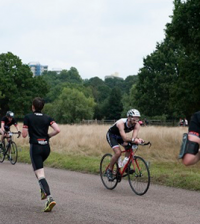 The scenic but tough standard-distance duathlon event will double as a qualification event for age group athletes aiming for a place in the Great Britain team for the ITU Duathlon World Championships in September. Morrison is the current ETU Duathlon European Champion and has already declared her intention to take on the very best for the world title in her home town. 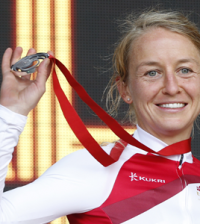 To secure the Scottish Championship title in Stirling over the 10km run, 40km cycle and 5km run event, she will need to beat 2009 winner, Kerry Lang, and Scottish triathlon champion and ex-international hockey player, Ali Rowatt. The Stirling Duathlon will also see age group athletes competing for places in the GB Age Group Team for the ITU World Championships that take place in Edinburgh later this year. In order to qualify they will need to be amongst the first across the line in their age group. Athletes of all ages, including super veteran, have entered. British Triathlon will confirm team selections in the weeks following the event. British Triathlon Director for Age Group Portfolio, Howard Vine said: “I am really looking forward to the 2010 Edinburgh ITU Duathlon World Championships. The venue should provide great racing with excellent home support. The prospect of having the largest Great Britain Age Group Duathlon team is superb and the competition at qualifying events, including Stirling this weekend, will create some great domestic races”. 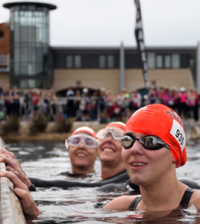 The Stirling Duathlon takes place at Stirling University and will feature 300 athletes. It doubles as the Scottish Duathlon Championship, and will also see 80 children aged 8 to 16 racing in the junior event.